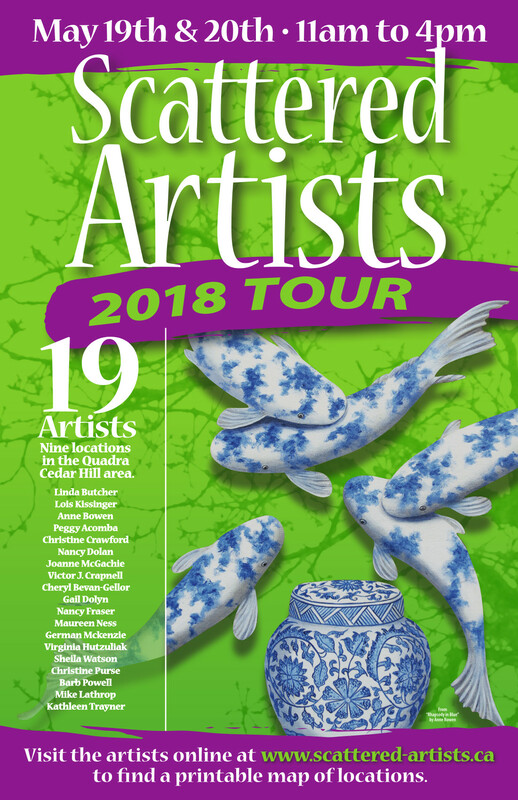 I am pleased to announce I’ll be participating in the 2018 Scattered Artists Studio Tour in May 18 and 19. We are a group of 19 artists at 9 venues within the area bordered by Mt. Doug, Swan Lake, Blanshard, Hillside and Shelbourne. I’ll be setting up in my front yard with Pat Robinson, another fellow artist at the Cedar Hill Arts Open Studio.